I wonder how many times the average toddler hears the word “No” in their typical toddler little life. I mean, they need to hear the word “No” to learn, right? I agree with that. Your child's journey starts with you, so let's look after you first! Download my special gift - "Timeout for Parents - 2 Minute Tips to Help You restore Your Sanity and Avoid Burnout!" You'll wonder how you ever did without it! 1st Annual Special Needs Party at the Park! Peninsula Special Needs Community (Babies to 5 Years) Newly Launched! 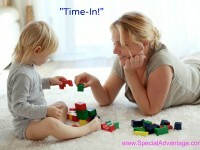 From Problems to Possibilities: Helping Your Little Super Heroes (Infants & Toddlers) Succeed! Every child travels a challenging path, and every child has moments of triumph, when something difficult is accomplished or something frightening is faced and handled. For a child with special needs or developmental delays, those moments are especially rewarding. I believe that any child who rises up and overcomes adversity is a Little Super Hero.